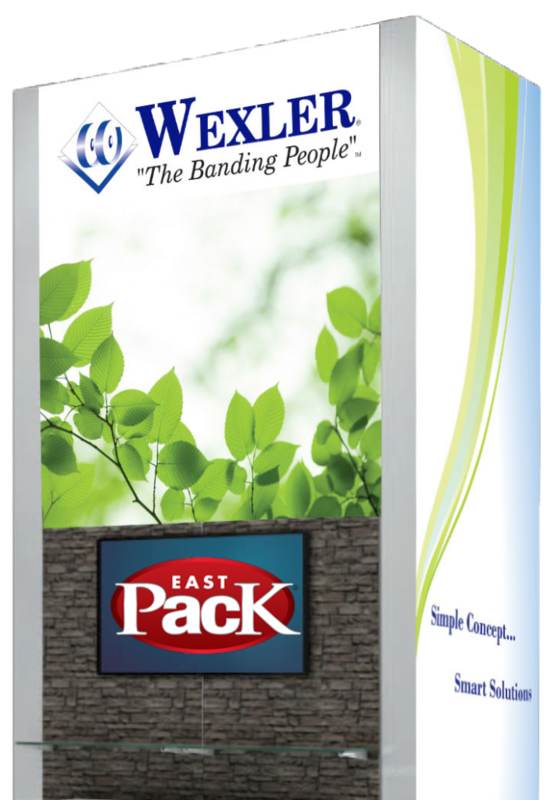 Wexler Packaging Products is proud to announce the launch of their new tradeshow booth at EastPack 2016, in New York, NY, June 14-16th. Soaring at a monumental 16-feet and illuminated by graphic lightbox panels on both sides, is the pinnacle of the booth, the Wexler tower.  With its stunning contemporary look and branding consistent with the company trademark “Go Green” with Banding, the new Wexler booth is designed to impress, educate and facilitate face-to-face interaction with tradeshow attendees. The new Wexler booth will feature Augmented Reality (AR) integrated technology, allowing EastPack attendees to interact with equipment and products like never before. 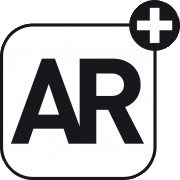 Activated by a free mobile app, Aurasma , AR trigger points planted throughout the booth will deliver audio, visual, video and more, creating a high-tech, interactive experience for visitors. In honor of this highly anticipated launch, Wexler will be hosting a celebratory “Booth Warming”. This “Green Carpet” event will take place in BOOTH #2707 during all three days of the show. Highlights include sustainable gifts and giveaways, games, a “Let’s explore the bandabilities” learning center, live equipment demonstrations and MUCH MORE.